Soren Liv specialises in premium furniture, both imported and manufactured in-house from Solid timber and premium timber veneers. Many years of experience in turning raw materials into fine furniture has given the company an exceptional insight into creating the result that you desire for each particular situation. We are able to analyse your need and supply a solution, both from international suppliers or manufactured in our facility in Wanganui. Soren Liv works from a specialist 30,000sq ft factory producing the finest range of furniture in New Zealand. Soren Liv has many satisfied clients including multi-national retail chains, commercial specifiers, interior designers and home building groups. 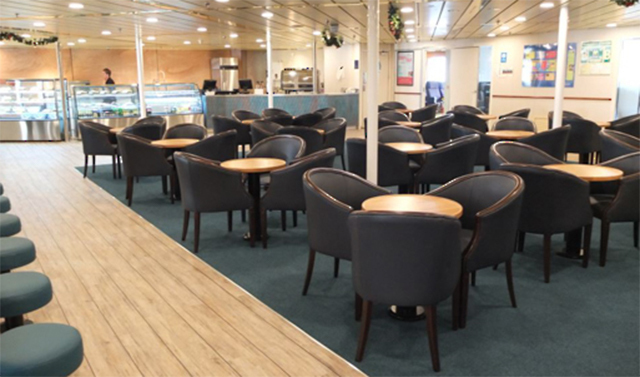 The Interislander Ferries were looking to re-furbish the lounge areas of their boats and wanted durability and style. Soren Liv provided Solid American Oak Coffee Tables and Dining Table tops for several areas. The Oak was finished in a 2 pack Ureathane satin clear finish which both enhances the grain and protects the timber. The strength and weight of the Oak timber works well in the marine environment and the machined lip around the edge of the coffee tables helps in rough crossings. 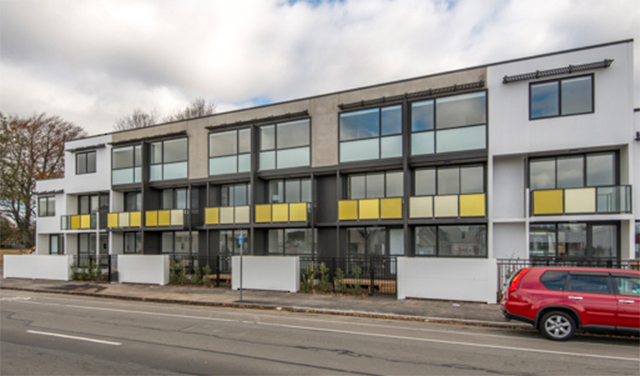 The Legacy Apartments are at 399 Mancester Street in Christchurch. Soren Liv was involved in specifing the interior furniture package and choosing the soft furnishings to create a airey modern space. This fit-out included kitchen and bathroom packs so a tenant could walk straight in after Soren Liv had finished with delivery, placing, staging and removing all packaging and rubbish. This iconic building is on Victoria Street East overlooking Victoria park and alongside the Victoria park Markets. It has 5 levels of carpark with a fully serviced apartment block above that managed by Swiss-BelHotel. Maria Diaz Valentin, the Design Director at Soren Liv designed the interior package and the team at Soren Liv manufactured and procured the complete fitout in approx 6 weeks from sign-off. This was a huge task added to by the fact that there was only one lift to access all rooms - a major logistics challenge. The resulting decor is amazing, showcasing beautiful American Ash tables, Entertainment Units and Bedside Cabinets along with Gus Modern Sofas and Occassional Chairs. Soren Liv worked with Designworks and Lanyon and Le Compte in creating an amazing Restaurant space. The dark Walnut Timber armchairs showcased throughout the restaurant area, are upholstered in New Zealand leather - Natural Wellington Dark Pine from Tasman Leathers in Wanganui.